Order in 20 Hours 48 minutes 33 seconds for dispatch tomorrow! The Ladies’ Cascada II Trousers are Páramo’s solution to an age-old problem by removing the need for regular stops to pull on or pull off a waterproof shell. 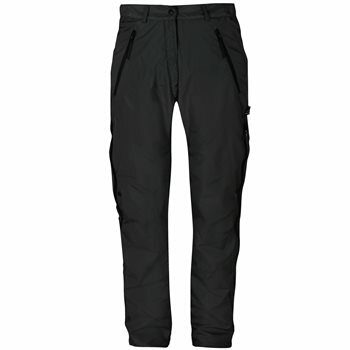 These trim-fit trousers with a contoured shape offer extensive leg ventilation and provide complete comfort. Full waterproof protection guaranteed for the widest variety of walking activities. Unrestricted leg movement with minimal weight due to ‘curved’ articulation around the knee area. Full weather protection, but with easy and rapid temperature adjustment provided by the 3/4 length reversed side zips with internal poppered storm baffles. Special attention to design of gusset area leads to maximum freedom of movement and articulation. Can easily be pulled on over walking boots. Versatile garment which can be worn either on its own next to the skin as general legwear or combined with Páramo Long Johns/ Janes for more extreme conditions. Ladies’ version has a feminine tailored fit through design of waist and hip areas.